my voice. I don’t drive a fancy blue roadster. no matter how high or how metaphorical. PHOTO: (Left) Emma Roberts as Nancy Drew in the 2007 TV series. (Right) Recent photo of the author in her favorite cameo earrings. NOTE FROM THE AUTHOR: I have long been fascinated with Nancy Drew, but that fascination was revived this past summer when I bought a nearly complete set at a neighborhood-wide garage sale. I’ve since visited Nancy in poems multiple times and hope to continue doing so. ABOUT THE AUTHOR: Jennifer Finstrom teaches in the First-Year Writing Program, tutors in writing, and facilitates writing groups at DePaul University. She is the poetry editor of Eclectica Magazine, and recent publications include Escape Into Life, Extract(s), Gingerbread House Literary Magazine, and NEAT. For Silver Birch Press, she has work appearing in The Great Gatsby Anthology, the Alice in Wonderland Anthology, and in Ides: A Collection of Poetry Chapbooks. NOTE: “Nancy Drew’s Guide to Life” by Jennifer Finstrom inspired Silver Birch Press’s Nancy Drew Anthology, a 212-page collection of poetry, prose, and art released on October 1, 2016.
his sight and distrusted the world and me. and melancholy covers me like a heavy blanket. Still, I can hear my children playing under the trees. Occasional laughter drifts my way. We are blessed. PHOTO: (Left) The poet when Laura Ashley was all the rage and romanticism back in vogue. (Right) Mia Wasikowska as Jane Eyre in the 2011 movie. 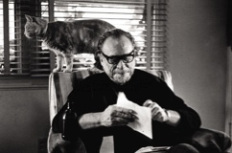 NOTE FROM THE AUTHOR: I often wondered about what happens AFTER the happy end (even though we get relatively few of those in what’s considered “literary fiction”). The fairytale endings “…and they lived happily ever after” had me imagining Princess XYZ with her hands in the suds and the bonny Prince drunk in the nearest inn. Jane Eyre and Edward Rochester are also almost too good to be true, even though I hated doing this to her after she’d already had such a rough time of it. 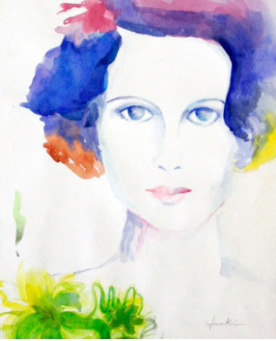 ABOUT THE AUTHOR: A German-born U.K. national, Rose Mary Boehm lives and works in Lima, Peru. Author of TANGENTS, a poetry collection published in the U.K. in2010/2011, over 150 of her recent poems have appeared or are forthcoming in a good two dozen U.S. poetry reviews (online and print), and a new poetry collection is earmarked for publication in 2016 the U.S.
PHOTO: Built in 1930 and housed in the former Buice’s General Store, Wilbur and Rudy’s Farmtable is a bit late for the Gatsby era. But its recent popularity in the Milton, Georgia, community has generated all the buzz of a Gatsby party. 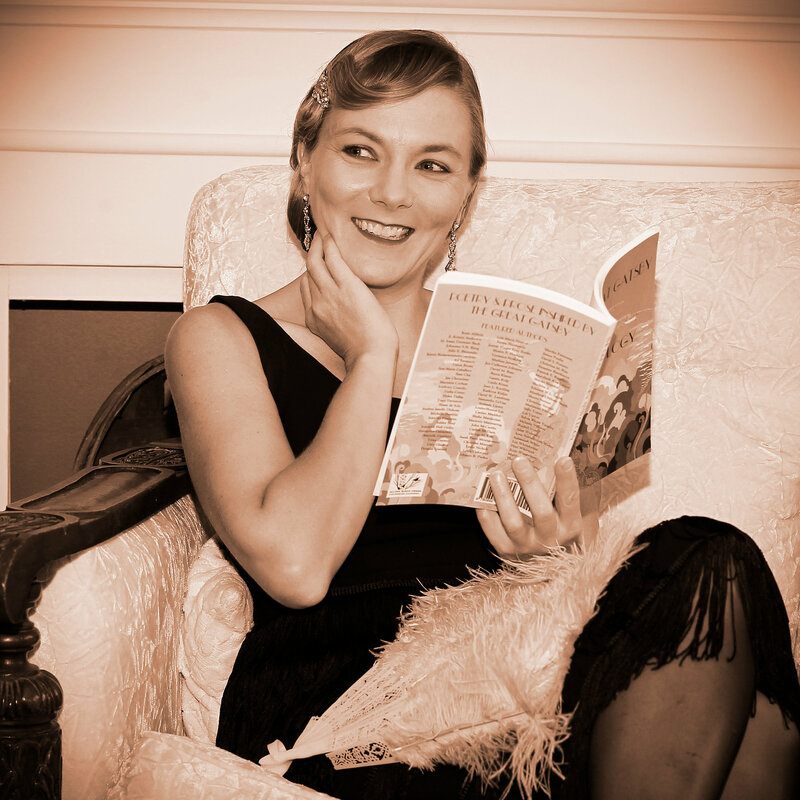 Poet Julie E. Bloemeke chose Wilbur and Rudy’s as the location for this Gatsby photo shoot because of its up-and-coming energy and dedication to promoting local artists, poets, and musicians. Also, it is one of the perfect places to write — organic coffee shop by day, wine bar by evening. Julie is grateful to fellow poet and photographer, William Walsh, for his 20s-era eye, and to her late grandmother, Geraldine Iglehart, whose vintage flapper gown and ostrich-feather fan helped recreate the roar. Her poem “Telephone” appears in The Great Gatsby Anthology. NOTE FROM THE AUTHOR: I am fascinated by Fitzgerald’s use of the telephone as a presence in conversation. The mystery of who is on the other end of the wire lends resonance to Gatsby’s intrigue; the insistence of Fitzgerald’s shrill metallic urgency is often used to punctuate, disrupt, pause, or hijack. My current poetry manuscript—largely influenced by our deepening connection to the cell phone—offers a grateful hat tip to Fitzgerald’s adroit observations of the telephone’s importance in social dynamics. ABOUT THE AUTHOR: Julie E. Bloemeke’s poetry manuscript Slide to Unlock, recently placed as a semifinalist in three book prizes: the 2015 Hudson Prize through Black Lawrence Press, the 2015 Washington Prize through the Word Works, and the 2014 Crab Orchard Poetry Series First Book Award. A graduate of the Bennington Writing Seminars and a 2015 fellow at the Virginia Center for the Creative Arts, her work has appeared or is forthcoming in various publications including Gulf Coast, Chautauqua Literary Journal, Drunken Boat, Poet Lore, and The Great Gatsby Anthology. 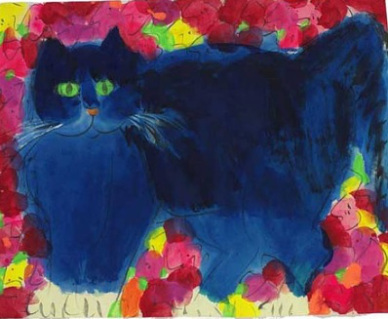 In May, she won the 2015 ekphrastic poetry competition at the Toledo Museum of Art, where her work will be on view with the Claude Monet collection until September. the picture of a pretty frame. A lady stole a huge hole. SOURCE: Opening passage of The Metamorphosis by Franz Kafka (1915). NOTE FROM THE AUTHOR: I love erasure poems. 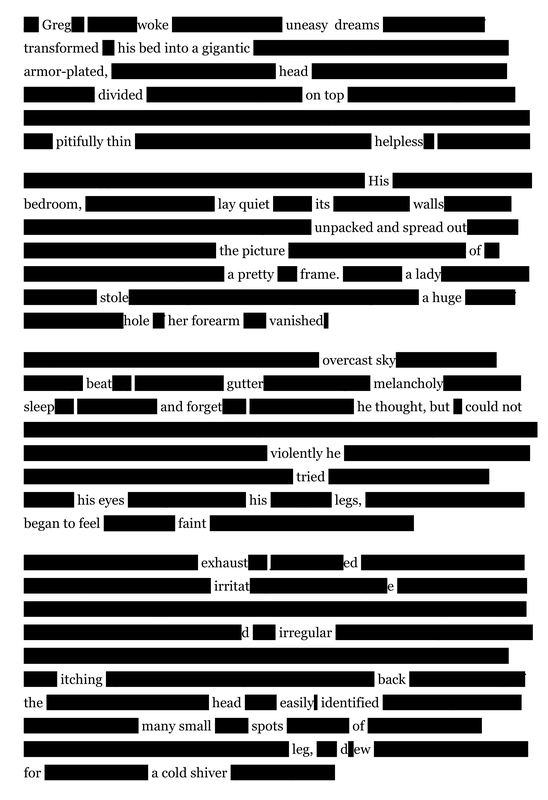 The first I wrote was for a Silver Birch submission call for Bukowski erasure poems, and I really enjoyed finding other works within the original. I’m now wondering how many different poems I could make from the same text. 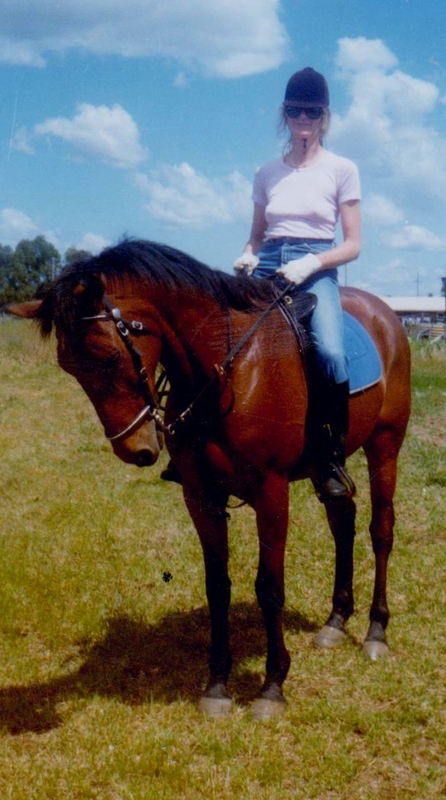 AUTHOR’S NOTE ON THE PHOTO: Me riding my sister-in-law’s race horse circa 1985. Sunglasses and a hat provide a good mask. A blank stare helps too. 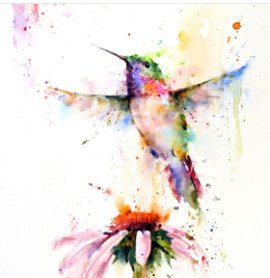 Painting: “PEE WEE” 8 x 12″ giclee print from original watercolor painting by Dean Crouser. Buy copies of the print at etsy.com. 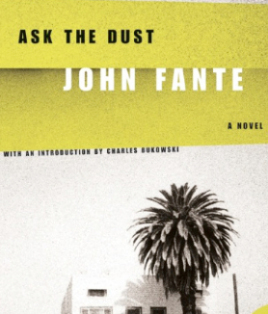 From Chapter 1 of Ask the Dust, a novel by John Fante first published in 1939 and reissued in 1980 by Black Sparrow Press with an introduction by Charles Bukowski. A Harper Perennial Modern Classics edition, released in 2006, is available at Amazon.com.